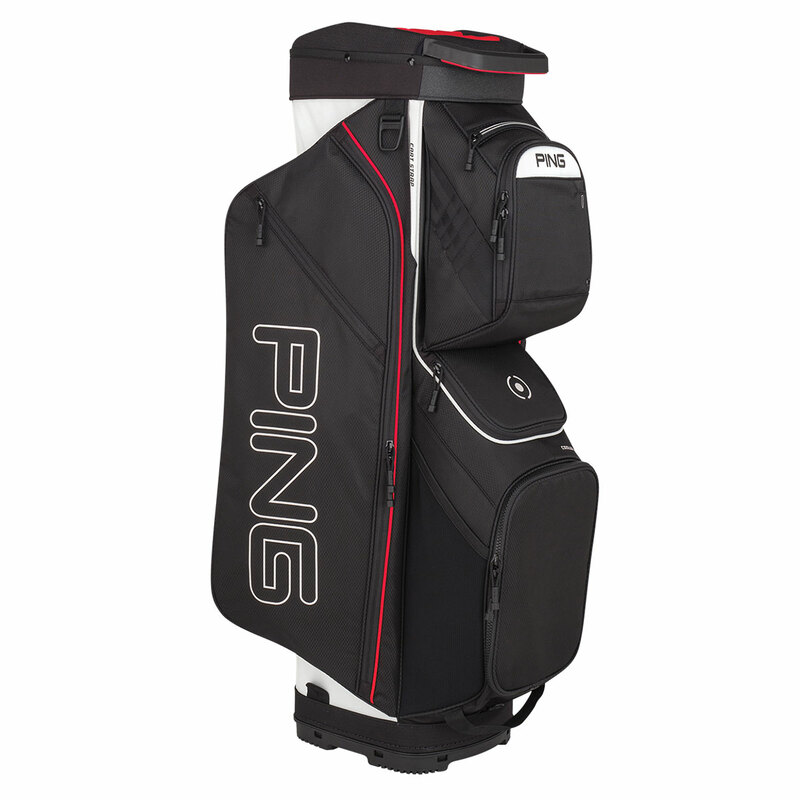 The Traverse bag has been newly designed with a large 14-way divider organiser to ensure the bag stay in shape and has 2 large wells to accommodate oversize putter grips. The bag has a soft moulded front-facing lift handle, integrated trunk handle for easy lifting to your mode of transportation. It has a highly durable construction made from small-diamond rip-stop polyester to ensure long lasting durability and performance. 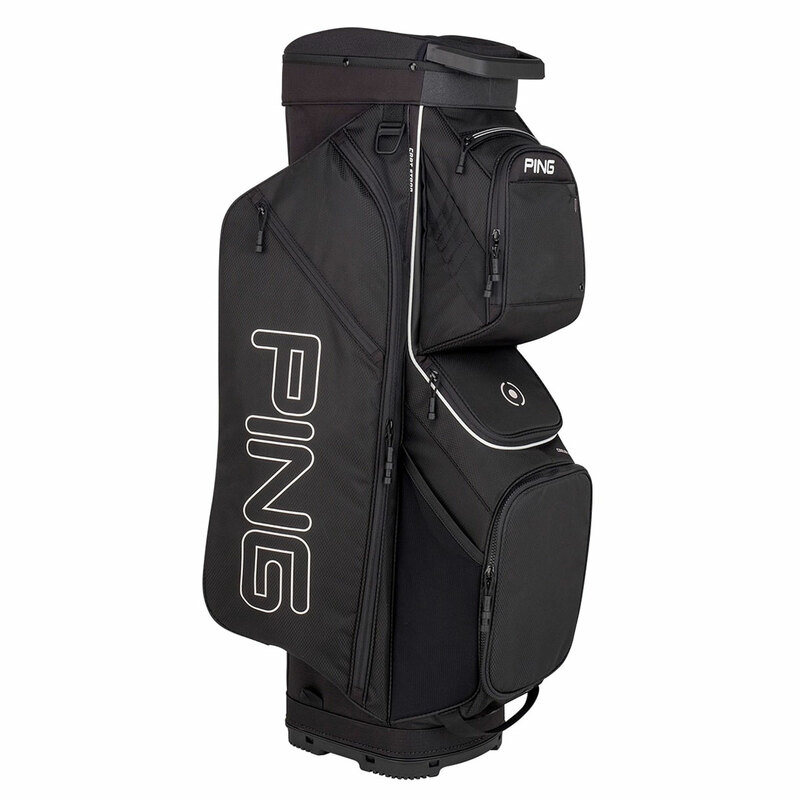 To assist with all your storage requirements the bag has 13 pockets which offer 13 litres of storage space, these include a large cooler pocket, a velour-lined valuables pocket to resist scratching or damaging, and a range-finder pocket with eye mark logo.